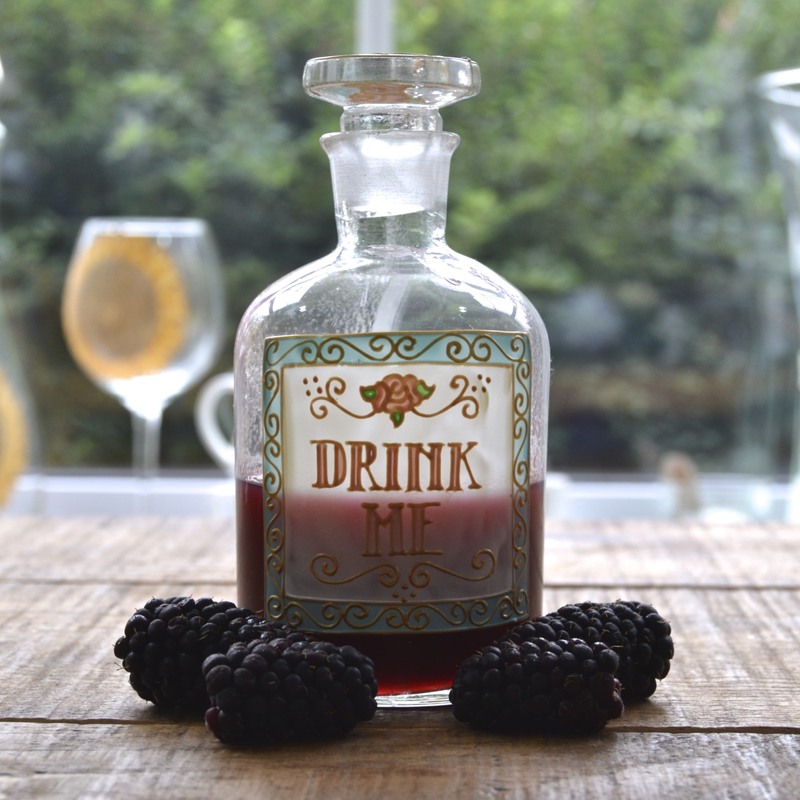 Crème de Mure, or Blackberry Liqueur, is a delicious cocktail ingredient, bursting with fresh berry flavour and essential for making that modern-day classic, gin cocktail, the Bramble. It is however, less ubiquitous than that other berry liqueur, Crème de Cassis, and tends to be found in more specialist liquor stores. As a result, Crème de Cassis is often used in substitution, which is rather like substituting a raspberry with a strawberry - both are tasty, but they are very different. There are some great brands out there, including Cartron and Briottet, but if you like getting creative in the kitchen, why not try this simple recipe and make your own. You can use frozen blackberries, but do ensure that they are fully defrosted beforehand. Always try to use the best fruit that you can, to ensure the high quality of your liqueur - you get back what you put in. The lemon zest is optional, but it does help to enhance the flavour of the berries, although it is very important that all the white pith is removed as it becomes bitter when steeped in alcohol. Aside from the listed ingredients below, you will need a large, clean, airtight jar, a sieve, a muslin cheesecloth or coffee filter paper. To begin with, make the simple syrup by heating half a cup of water in a pan. When the water begins to boil, add one cup of sugar and reduce heat to a simmer. Stir constantly until the sugar is completely dissolved and the liquid is crystal clear. Add the fruit and zest to sealable container such as a large, clean jar, along with the alcohol. Muddle (squish) the fruit and alcohol, then replace the lid and shake. Store at room temperature but out of direct sunlight, for a minimum of 3 days. Strain the contents of the jar through a fine mesh strainer, pressing down with the back of a spoon to extract all the juice. Filter the remaining liquid through a muslin cheesecloth or coffee filter paper. Repeat the filtering process again and then add half a cup of simple syrup and stir. Pour the liqueur into an airtight jar or bottle and shake to combine. Allow to rest for at least a day before using. Store in a cool, dark place for up to 3 months.